I'm very selective when it comes to perfumes . I don't like something which has a too strong smell. I like fruity & soft floral scents the most. 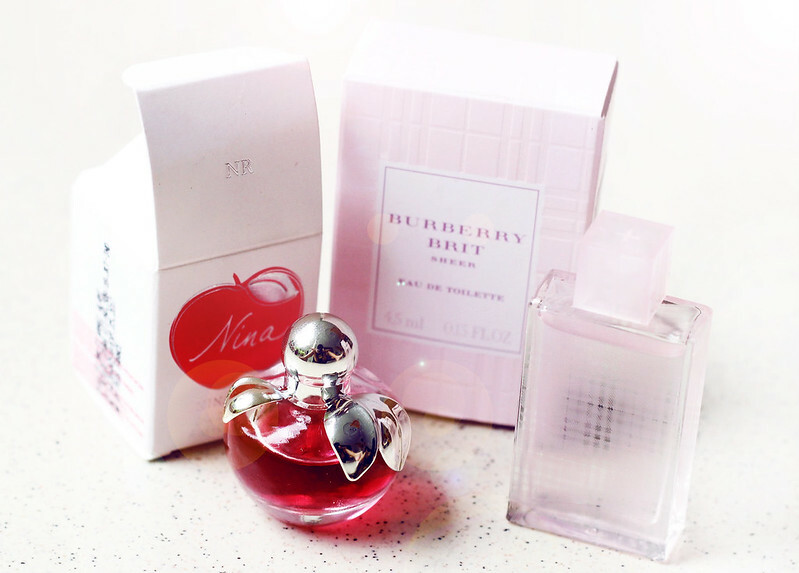 My favorite ones are NINA by Nina Ricci for the fruity smell and Burberry Brit Sheer Eau de Toilette for the soft floral scents. I also like Marc by Marc Jacob's Daisy Series. @KIMPERFUMEMINI sells original (don't ever buy a fake perfumes! It can damage your clothes) minature perfumes. The size ranges from 4ml - 7.5ml. They're perfect to be carried around in your bag! The price is also affordable, starts from around IDR 100.000. NINA by NINA RICCI's smell is so fresh, fruity, yet not too strong. It suits a fun, outgoing, and active girl like me. It's perfect to be worn for a day out :). While Burberry BRIT Sheer Eau de Toilette is perfect to be worn for a date, meetings, and night out. It's very calm, soft, feminine, yet sweet and gives a confident vibes! Can be carried around in your bag easily, rather than bringing a big-sized perfume which is usually heavy & takes so much space! As a 'sample' for your first try on a new perfume. If you like it, you can buy the big size later. If you don't like it, you can just put it as a decoration in your room and you don't waste so much money for an unused thing! @KIMPERFUMEMINI also sells sample-sized make up. 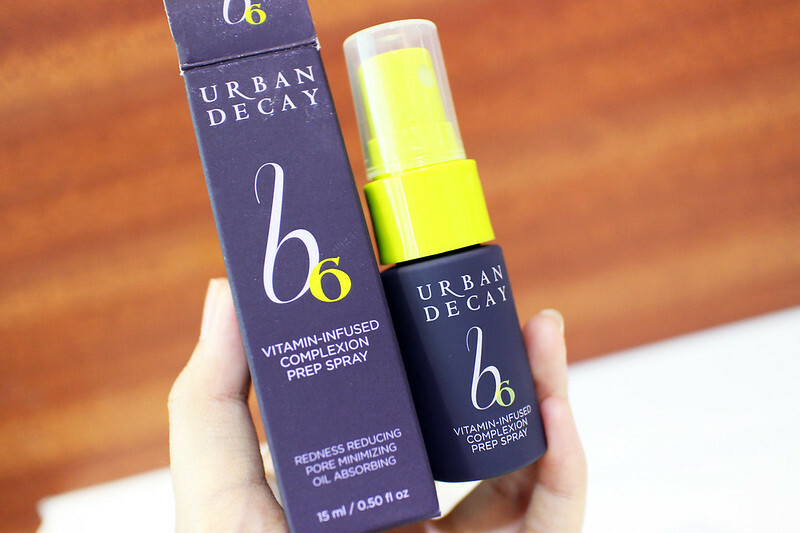 I got myself this URBAN DECAY B6 PREP SPRAY! It's like a primer, but much more convenient to be used as you just need to spray it on your face! Before applying make up, it's VERY important to apply primer / this product. 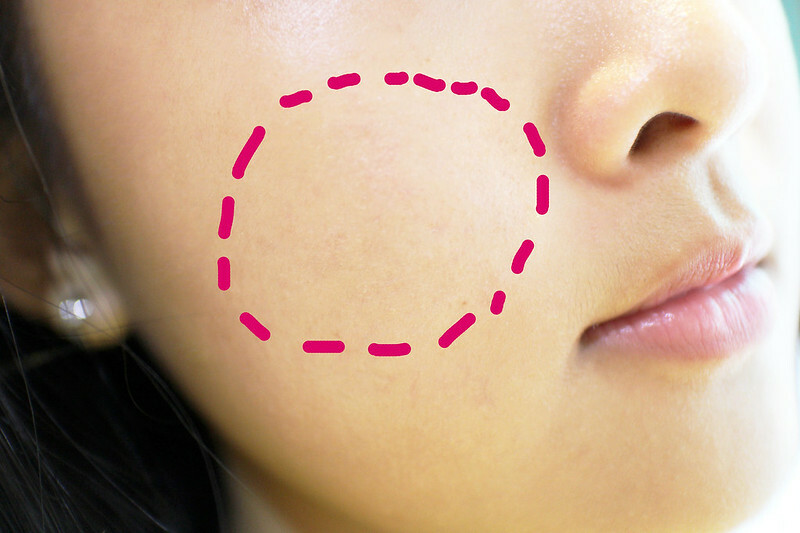 It will minimize your pores, so your pores won't be clogged / create acnes/break outs! A year ago, my skin was very sensitive to make up. I could get pimples easily after I wore makeup. Then I started applying primer before applying foundation.. The result was amazing. Until now, my skin RARELY have acnes. I'd give this product a 5/5 points. It really MINIMIZES my pores as you can see in the picture below. So, it will make your face turns into a perfect 'canvas' before you start applying foundation and prevent your pores from being clogged. It contains B6 Vitamin which helps to normalize overactive cell-signaling proteins to help control sebum production. I'll surely buy another bottles of this product after I finish this one as it's very useful as a make up base and also as a treatment for your skin's health :). Thank you @KIMPERFUMEMINI for the awesome products! I like your makeup. So beautiful! Want to win 3 pairs of shoes at once? Join My on-Going Giveaways on Instagram!